I’ve taught a lot of beginners now and one of the first things they ask is, naturally, what beads to use. Well, that depends on the kind of beading you want to do. So, here I want to talk about beads for bead weaving. 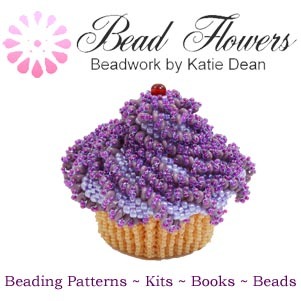 Assuming you are new to the wonderful world of beading, then you may also be wondering what I mean by ‘bead weaving’. This is a general term that covers a lot of specific techniques. The thing they have in common is that they all involve using needle and thread to stitch beads together. This can be to create a fabric of beads, or to create dimensional objects. They might be jewellery, or ornaments. …and probably others that I have forgotten or overlooked, or have yet to be discovered at the time of writing this! Just to confuse matters, you can also create beaded fabric using a loom. This can also be classified as ‘bead weaving’. So, you might also hear the above techniques referred to as ‘off-loom bead weaving’. This means they are created just with needle and thread, not with the aid of any other tools. Bead embroidery also uses needle and thread, but you would be stitching beads onto a fabric or surface. So, this technique isn’t normally referred to as bead weaving. Take a look at this section if you want a more comprehensive overview of the different beading techniques. For now, let me leave the techniques and move back to the beads. What are the best beads for bead weaving? Well, that’s a question that I could spend weeks discussing! Again, let me assume you are a complete novice here and try to give you a simple starting point. The short answer is: the best beads for bead weaving are seed beads. That sounds simple enough, until you begin to realise the breadth and variety of beads that we classify as ‘seed beads’. If you’re curious, take a look at this section, which takes you through just some of the many different beads available today. When I started beading, all seed beads had just one hole through them. They were typically less than 4mm in size. (Anything larger than 4mm is usually then a pearl, or a faceted bead, or a crystal, or specialty glass or wood beads for stringing). So, the only thing I had to worry about was the brand of seed bead. I’ll come back to that in a second. Nowadays, seed beads can be any shape and can contain 2, 3, or 4 holes through a single bead. 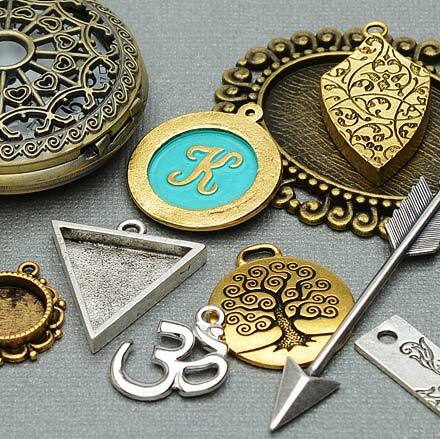 All these amazing designs have different names (eg Superduo, or RounTrio, or Pellet). In some cases, the name may help you understand the bead. In other cases, you might be wondering about the connection. Can you use shaped seed beads for bead weaving? Yes, you can! In fact, shaped seed beads are ideal for bead weaving. BUT, if you are here because you’re wondering what beads to choose for learning one of the bead weaving techniques I talked about earlier, you probably don’t want shaped seed beads. The shape and multi-hole structure of these types of beads means that they’re not always useable in the traditional techniques. Or, if they are, you have to discover new thread paths to accommodate the multiple holes. So, I would argue that the shaped seed beads have led modern designers to create an entirely new bead weaving language. The principle is the same: using needle and thread to join the beads. But the thread paths are specific to a design, rather than using a more general technique. As a beginner, you can leap straight in and try a simple shaped seed bead project. But bear in mind that each project you try will be different. So, the learning curve, in my opinion, isn’t about getting to understand a technique, more about learning to work with beads. I’ve included some shaped seed bead project photos here, which are all great beginner level projects. So, if you’re curious about any of them, click on the photo to go to the pattern. 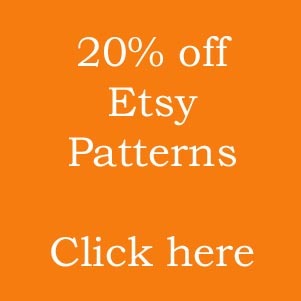 This link will also take you to a collection of beginner level projects you can browse and try. As promised, let me return to the traditional basic seed beads. You may see these referred to as ‘seed beads’, or ‘traditional seed beads’, or ‘rocailles’. 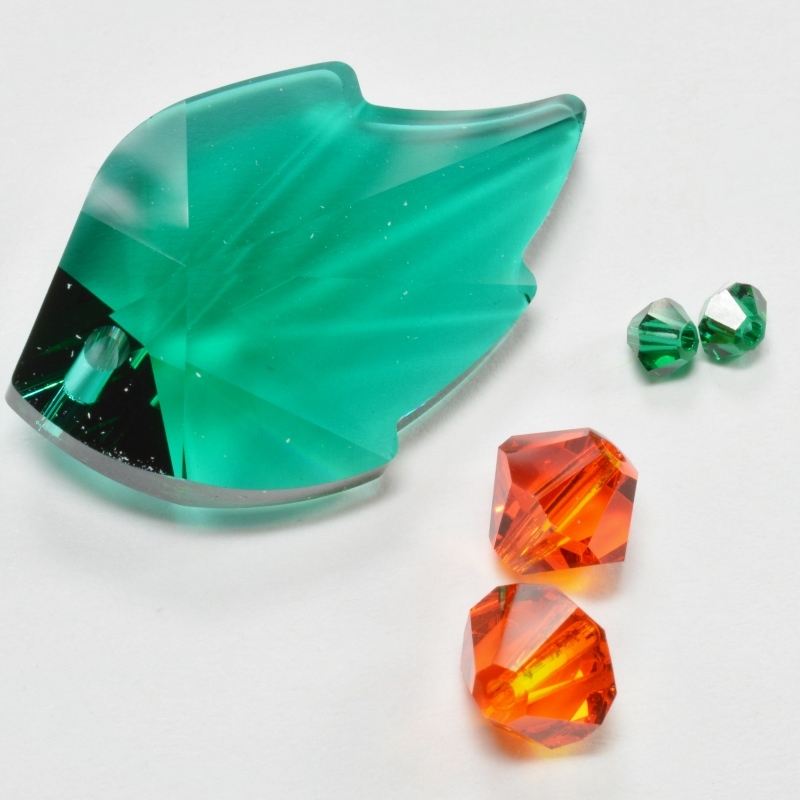 Within this general classification, you will find two types: rounded beads and cylinder beads. You will also find that seed beads come in different sizes. Now, I’m not going to go into that in this post because I covered it in this blog. So, if you want to understand the difference between seed beads sizes or the rounded versus cylinder, then just follow that link. I will also mention that the seed beads we use today are manufactured by a number of different companies. So, this would be the ‘brand’. The most commonly used are Miyuki, Toho, Matsuno and Czech (or PRECIOSA). But you may see others and you may also see unbranded seed beads. The only reason that brand is important is for sizing. Although, seed beads come in standard sizes, think of them like clothes. A size 12 in one retailer may be very slightly different to a size 12 in another. The difference is small, but it is large enough to affect you. The same goes for seed beads – the difference results from different manufacturing techniques, all of which are a closely guarded secret. If you want to know more about seed bead brands and how they differ, then check out this blog post. For now, let me provide you with a useful answer to your original question! The best beads for bead weaving in Peyote or brick stitch are the cylinder beads. Their incredibly even shape means they ‘click’ together and create a beautiful finish. Plus they are so easy to use. If you’re trying to learn a new technique, then I recommend using size 8 beads. These will be big enough to help you feel comfortable as you work, but small enough to look good. Try to use beads that are regular and even in shape. 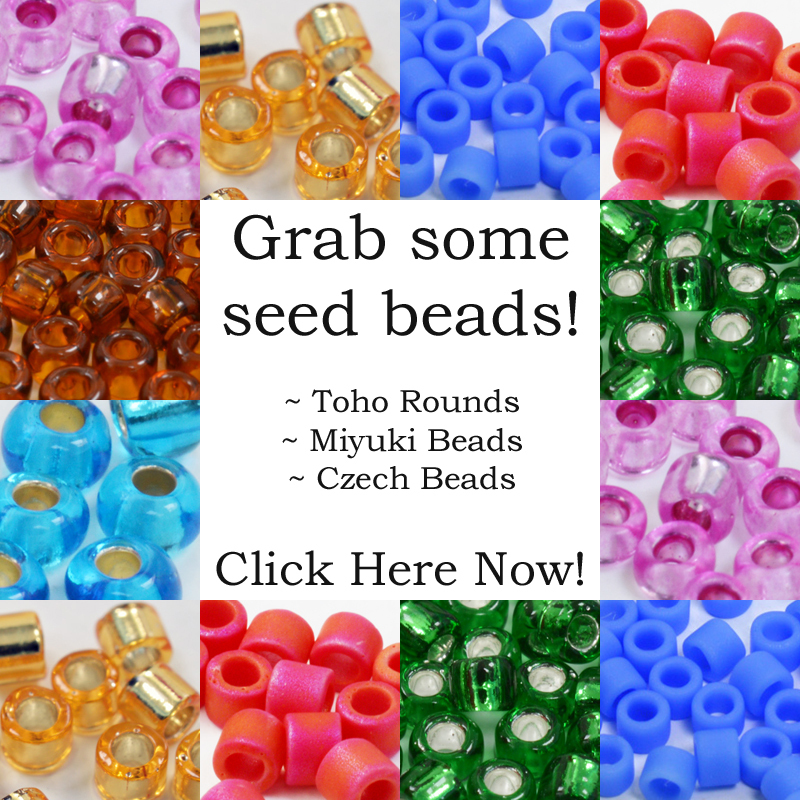 So, this means investing in good quality Czech, or (even better), Japanese seed beads. Don’t be tempted by that cheap bag in a random store. You will probably end up getting frustrated because the beads are all such a different size! Beyond those two rules, I would say, just ‘find what feels good’. You will find that Cylinder beads always create a lovely uniform finish in any beading technique. But the structure of techniques like Herringbone or Right Angle Weave means this isn’t essential like it would be in Peyote or Brick stitch. As you get used to a new bead weaving technique, you will find you can start to use smaller beads. So, scale down once you feel happy with the basics. Now, if you are following a pattern, then use what the designer tells you to. That includes using the correct brand if the designer has specified that. If you have any other helpful advice, please feel free to leave a comment below. But this should get you off to a good start! How do you decide which clasp to choose?